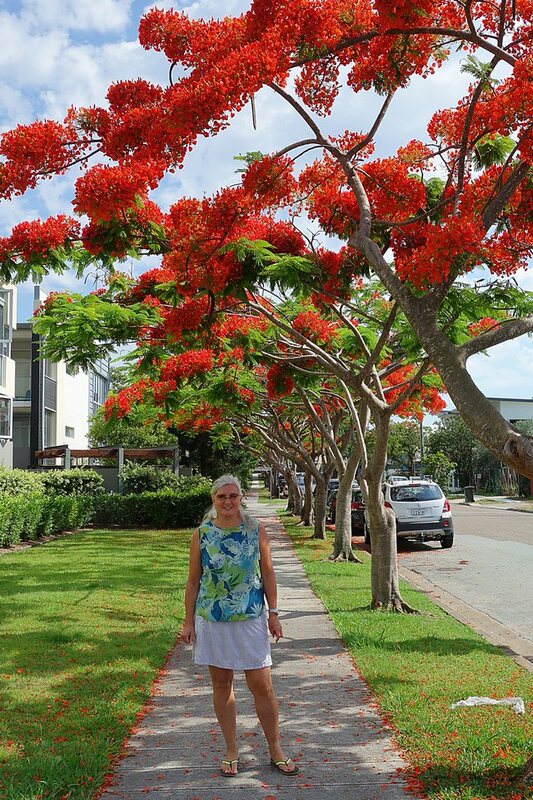 We are seeing red right now – as in spectacular red Royal Poinciana trees all down Love Street (the street we live on). 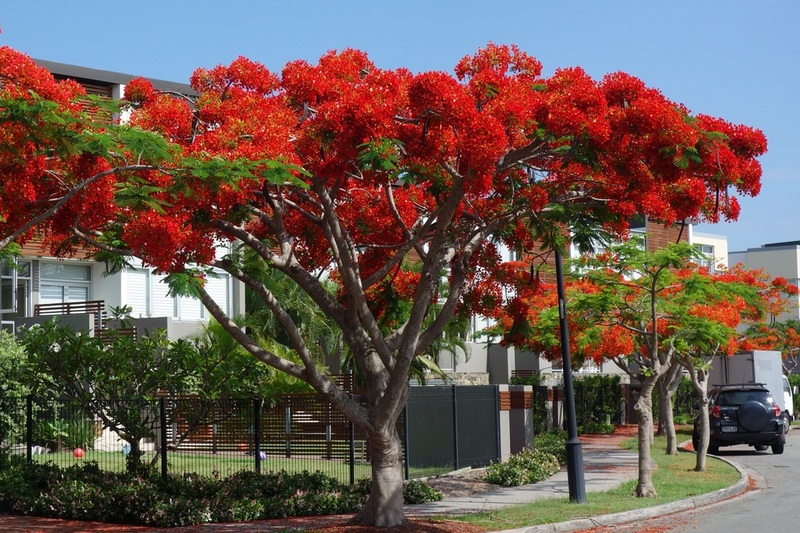 These popular trees are, in fact, found all around Brisbane and Australia, as they are well suited to the sub tropical, almost tropical climate that we are in. 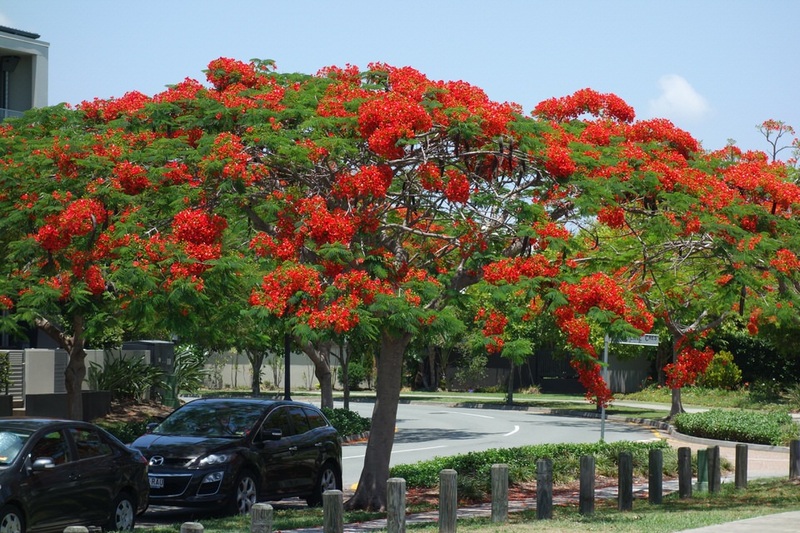 This brilliant red flowering tree follows closely on the heels of the beautiful purple Jacaranda trees that you saw in one of our first posts. While we are on the topic of flowers, check out the newly developed Photo Gallery page (on the menu above) and explore the Flower Gallery. Click on to the flowers to get a larger carousel view. In this view there is room for comments at the bottom. I have posted some there already. 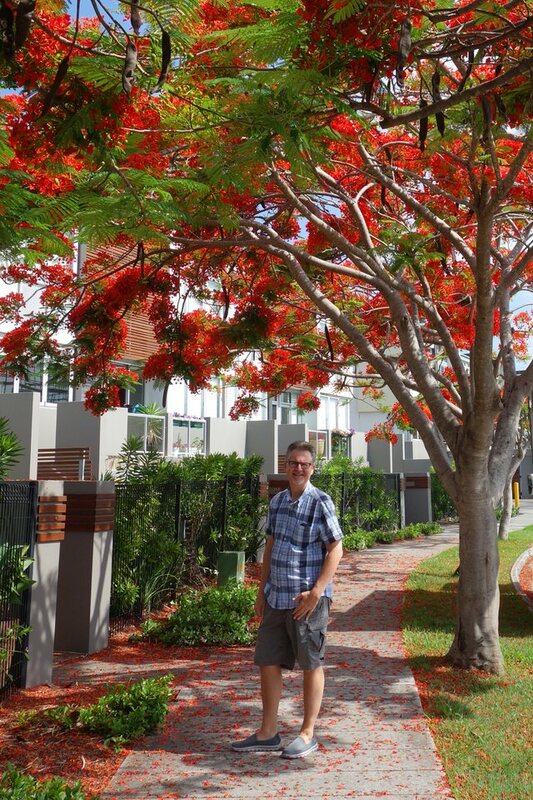 This entry was posted in Flora and Fauna and tagged flowering tree, Love Street, Royal Poinciana, subtropical climate. Bookmark the permalink. 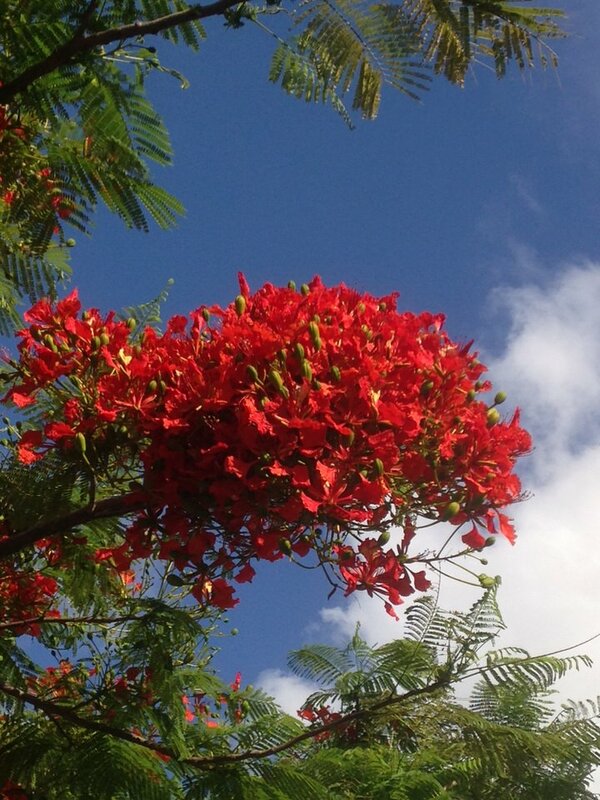 Thanks for the beautiful pictures, Dianne. 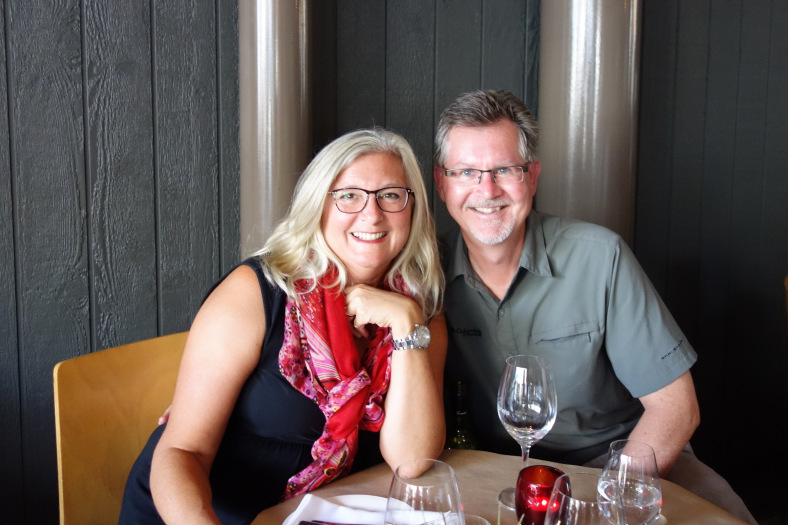 We are definitely not seeing red these days in Calgary . . . . . unless one is a Stampeders or Flames fan! I’m glad that you are enjoying the pictures. 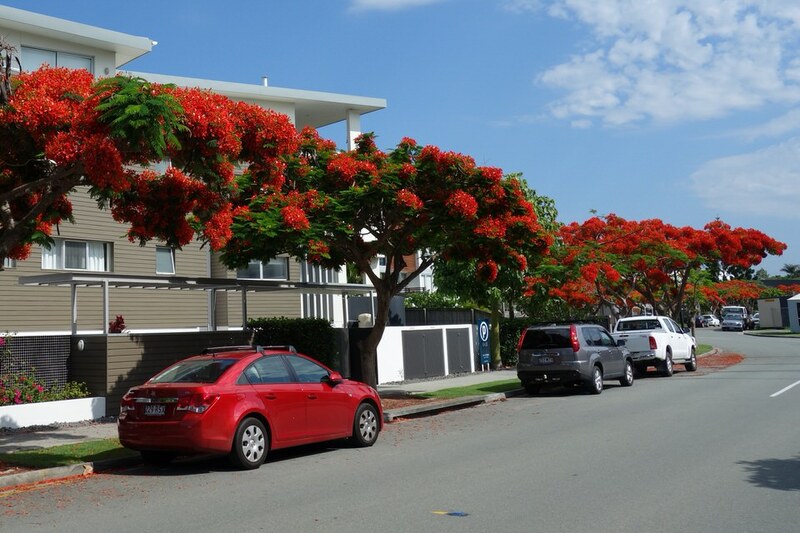 I really enjoy all the colorful flowers and trees here, but I will admit that I will miss white this Christmas. Merry Christmas to you and your family.